According to Kristin – TV/Movie Reviews, Podcasts, Interviews, Music Reviews/Suggestions, Giveaways, Entertainment News & more! April 18, 2019 April 18, 2019 by KristinLeave a Comment on ROCKETMAN| New Featurette Available Now! From a young musical prodigy to one of the world’s biggest icons, Elton John’s life comes to the big screen in ROCKETMAN. Watch as the team behind the film discusses Elton’s incredible story in this special look at ROCKETMAN. Larkins have announced the release of the live album Larkins: Live At The Albert Hall, Manchester, due for digital release on April 19th and physically on CD, cassette and vinyl from July 5th via Good Soldier Records. The album is available for fans to pre-order here. The album was recorded at their landmark hometown show to 2000 rapturous fans last month. To mark the announcement the band have released a live video of their latest single, ‘TV Dream’, captured at the Albert Hall. Regarding the live album frontman Josh Noble says, “We are very proud to present a recording from our live show at the Albert Hall in Manchester. It felt like everything we had done so far as a band had kind of led to this moment. We’ve played almost every venue in town over the past few years and we’d always joked about playing Albert Hall, half-expecting it to never happen. Larkins are on a meteoric rise as one of the most exciting and in-demand bands to emerge from Manchester in recent times. They sell out headline shows across the UK and Europe, and played their first US shows this year at SXSW Festival. On the back of an incredible sold out show at Hoxton Bar & Kitchen last week, Larkins have announced their next London headline show and will play Dingwalls on June 19th. Tickets are on-sale now here. The band have also been announced for a number of summer festivals this year including Live At Leeds, Neighbourhood, Y Not Festival and La French Escapade in Paris. Larkins released their Good Soldier Records debut single ‘TV Dream’ last month to an ecstatic reaction from fans and media alike, clocking up over a million plays. They have received strong radio support from Radio 1, BBC Introducing, Radio X and Beats 1. The band are currently recording their debut album with producers Dan Nigro (A-Trak, Sky Ferreira, Lewis Capaldi) and Andrew Dawson (Kanye West, Fun, Kid Cudi) – a record which is sure to send Larkins even further into the stratosphere. Renowned actress, TV host and influencer, Gaby Espino, will spice up the Telemundo screen this summer with the grand premiere of the second season of “MasterChef Latino,” the number one reality cooking competition in the world which premieres Sunday, May 19 at 7pm/6c. Celebrity chefs Claudia Sandoval, Ennio Carota and Benito Molina return as judges of an innovative format produced by Endemol Shine Boomdog that brings together a great diversity of cultures, food and flavors from all over Latin America, where the best amateur/non-professional cooks from around the United States will do everything possible to become a culinary master and compete for a $100,000 cash prize and the coveted title of MasterChef Latino. Chef Claudia Sandoval is the winner of the sixth season of “MasterChef U.S.” and the bestselling author of “Claudia’s Cocina: A Taste of Mexico.” She is the owner of a successful culinary consulting and catering company under the name “Claudia’s Cocina.” An active philanthropist, Claudia’s culinary style is a modern take on Mexican coastal cuisine. Born and raised in San Diego, California, to a family originally from Mazatlán, Sinaloa, Claudia grew up with her mother and grandmother, who taught her how to cook since she was a little girl. Currently, she lives in San Diego with her teenage daughter. Multimedia powerhouse Tyler Perry steps into the character of Madea for her very last movie when Tyler Perry’s A Madea Family Funeral arrives on Digital May 21 and on Blu-ray™ Combo Pack (plus DVD and Digital), DVD, and On Demand June 4 from Lionsgate. Written, directed, produced by, and starring Tyler Perry (Boo 2! A Madea Halloween, Boo! A Madea Halloween, Vice), the film celebrates this beloved character and film franchise by shining a light on Madea in her final big-screen performance! Starring alongside Perry in this hilarious farewell film are Madea’s BFFs and fan faves Patrice Lovely (Boo 2! A Madea Halloween, Boo! A Madea Halloween, TV’s “Love Thy Neighbor”) and Cassi Davis (TV’s “The Paynes,” Boo 2! A Madea Halloween, Boo! A Madea Halloween)….also appearing for the first time is Tyler Perry’s new, off-the-wall character, Madea’s brother, Heathrow. April 18, 2019 April 18, 2019 by KristinLeave a Comment on IRON MAIDEN Sell Out Rock In Rio – 90,000 Tickets In Two Hours! The multi-platinum rock group Five Finger Death Punch has teamed up with the legendary Brian May of Queen and two of the biggest names in country and blues rock, Brantey Gilbert and Kenny Wayne Shepherd to record a special version of the song ‘Blue On Black’ mixed by Kevin Churko (Ozzy Osbourne, Shania Twain, Disturbed). Titans in each of their respective genres, the artists came together to merge country and mainstream rock to re-create the classic song originally co-written by Shepherd. Taking Country Rock to the next level, ‘Blue On Black’ is out today worldwide via Prospect Park (North America) and Eleven Seven Music (ex. North America). The artists are donating all proceeds from the collaboration to the GARY SINISE FOUNDATION which honors America’s defenders, veterans, first responders, their families and those in need. Archie Faulks has released his brand new single ‘Wonderful’ ahead of starting his debut UK headline tour starting April 13th. Kicking off at The Jacaranda in Liverpool, Archie will play a further six dates across the country, finishing with a headline show at London’s Camden Assembly on April 23rd. Tickets are available via Music Glue. Regarding the song Archie says, “‘Wonderful’ is a song inspired by the melancholy associated with the inevitable passing of time and the effect of it on the relationship of two people. A once glorious thing that, due to different paths chosen in life, could never come to fruition but is maintained through the thought of what could have been. ‘Wonderful’ is the latest in a string of singles released since Archie emerged last year. It follows the release of the acclaimed songs ‘Hung Up’, ‘Blackout’ and ‘It Rains’. The singles have proved radio hits with support coming from Radio 1 and Radio X and they have also clocked up over 2 million streams across Apple Music and Spotify. We are thrilled to share with you the trailer for the highly-anticipated boxing documentary “I AM DURÁN,” featuring Roberto Durán, Sugar Ray Leonard, Sylvester Stallone, Robert De Niro, Mike Tyson, and several sporting heroes. 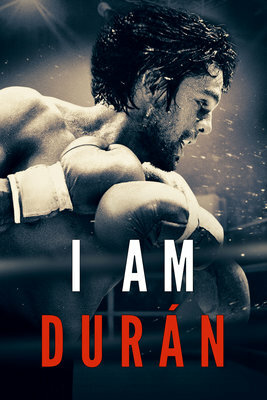 “I AM DURÁN” is directed by Mat Hodgson (The Four Year Plan, Night of the Fight: Hatton’s Last Stand) and features iconic boxing champion Roberto Durán sharing his life story with fans. “I AM DURÁN” puts viewers in the corner of one of the greatest pound-for-pound fighters ever and shows how Roberto Durán used his “Hands of Stone” to become a national hero and beloved son of Panama. Roberto Durán is a boxing behemoth, a titanic figure with a career straddling five epic decades who is regarded as one of the most entertaining and skilled fighters of all time. “I AM DURÁN” tells his story, inextricably interwoven with the story of the nation of Panama. As Roberto Durán rose, fell, and rose again, staggering between glory and disaster, buffeted by the brutal blows of his opponents and of life itself – so did his beloved Panama. A country brought to its knees as a pawn in violent regional and international politics and suffering from the harsh yoke of dictator Manuel Noriega’s ruthless regime, in its darkest hour Panama needed a hero, a voice and an identity. Roberto Durán’s impact transcended boxing and politics. Born a fighter, his success inside the ring transformed him into an icon, yet it was his flaws and failures outside the ring that made him a hero and continue to ensure that his universal appeal and popularity endure to this day. John Noble (FRINGE) and Rupert Graves (SHERLOCK) star in SILENCIO, the acclaimed new sci-fi drama from Lorena Villarreal (Las Iloronas). SYNOPSIS: In order to save her son’s life, Ana must find a powerful stone. Her grandfather originally discovered it in the Zone of Silence, the Bermuda Triangle of Mexico. Throughout her desperate search, Ana stumbles upon family secrets and enemies who believe the stone’s power is worth killing for. The band then return to the States in early July to join country music juggernaut Chris Stapleton on his All-American Road Show tour. Most recently it was announced that MKB will perform as part of the historic Woodstock 50 Festival this August. Sweden by way of Gambia singer Luana Kiara has released a poignant video for her debut single ‘Trigger’. The video addresses the issue of domestic abuse and captures Luana dancing with a man as romance begins to escalate into violence. The song is a dark R&B roller and reinforces the message that you can never truly know the daily struggles other people face. The platinum selling and Grammy-nominated Christian Nilsson and Mårten Fohlin produced the track. ‘Trigger’ was released last month as part of the New Balance Scandinavia International Women’s Day campaign. Luana Kiara was the face of the campaign, for which ‘Trigger’ was the soundtrack, and as part of this she spoke about her background and the importance for women to stand up for themselves in a moving mini documentary. ‘Trigger’ follows Luana’s collaboration with the Scandinavian production and DJ duo Tungevaag & Raaban, where she was a featured vocalist on their smash hit ‘Bad Boy’, which was released last year and has clocked up over 14 million streams on Spotify alone. Now stepping to the forefront with her debut single ‘Trigger’, Luana Kiara is proving herself to already be an important name on the Swedish music scene. She is a strong female figurehead and set to take the world by storm. WORTH | Starring Tony Todd and Clifton Powell – Check out the trailer and poster! April 17, 2019 April 17, 2019 by KristinLeave a Comment on WORTH | Starring Tony Todd and Clifton Powell – Check out the trailer and poster! SYNOPSIS: Directed by and starring Eduardo Castrillo, Worth is a love letter to Muay Thai Kickboxing and tells of Ricky (Castrillo, Hunting Season), a top contender in Muay Thai meets and falls in love with Danielle (Samantha Aper), a paralegal in the city. Together they embark a relationship dealing with his championship match and her big court case. Danielle gets into an accident putting her into a coma and now Ricky has to do whatever it takes in order to pay for medical care. BOOKSMART | Greenband Trailer – Available Now! April 17, 2019 April 17, 2019 by KristinLeave a Comment on BOOKSMART | Greenband Trailer – Available Now! BOOKSMART hits theaters May 24, 2019! April 17, 2019 by KristinLeave a Comment on DARK PHOENIX | Final Trailer Released | In Theaters June 7! SYNOPSIS: This is the story of one of the X-Men’s most beloved characters, Jean Grey, as she evolves into the iconic DARK PHOENIX. During a life-threatening rescue mission in space, Jean is hit by a cosmic force that transforms her into one of the most powerful mutants of all. Wrestling with this increasingly unstable power as well as her own personal demons, Jean spirals out of control, tearing the X-Men family apart and threatening to destroy the very fabric of our planet. The film is the most intense and emotional X-Men movie ever made. It is the culmination of 20 years of X-Men movies, as the family of mutants that we’ve come to know and love must face their most devastating enemy yet — one of their own. DARK PHOENIX arrives in theaters everywhere on June 7! STUBER | Debut Trailer + Poster Released | In Theaters July 12! April 17, 2019 April 17, 2019 by KristinLeave a Comment on STUBER | Debut Trailer + Poster Released | In Theaters July 12! SWIM is an indie pop-rock band established in Stony Brook, New York. Voted one of the Top 10 bands on Long Island during the summer of 2017 in Newsday’s Band Battle, SWIM has been active at venues across Long Island since 2015, following the release of their first, self-titled EP, even performing at notable local venues like 89 North (Patchogue), Revolution (Amityville), and the Rainbow Stage at Heckscher State Park. Friends since high school, SWIM has steadily grown their fan-base performing from local Long Island venues to national stages such as SXSW in Austin, TX. 2017 saw the release of Finally, Someone, SWIM’s sophomore effort. Debuting a fine-tuned, focused bid at powerful, alternative rock laced with heavy pop overtones, the record features six tracks which promise to deliver a non-stop groove and revolve around the themes of love lost, love found, and love longed-for. The album has been premiered on local radio stations like 90.1 WUSB, and several online stations. Their last single “Heartbeat Connection” has earned over 200,000 listens on Spotify. SWIM’s thought lyrics, pop melodies, and rhythmic guitar and bass accompaniments tip their hat to indie rock influences like The Strokes and The Kooks, while staying true to the group’s unique brand of pop, heavily influenced by the likes of The Lumineers, Bleachers, and Coldplay. “The Chase” is available on all digital music platforms NOW. The Head And The Heart have shared the video for ‘Missed Connection’, the first track taken from their upcoming album Living Mirage, out May 17th via Parlophone Records/Reprise Records. Featuring footage filmed in Joshua Tree, where the band came together before starting work on Living Mirage, the video follows the release of the ‘Missed Connection’ single in March, and comes after the release of their latest single, ‘Honeybee’, last Friday. Living Mirage lives up to its title, a shapeshifting fever dream of unease, angst, and ultimately hope. “This is literally the most work we’ve ever done on an album”, the band’s Jon Russell remarks, proudly. The Head And The Heart will embark on an extensive 38-date US tour starting in June, following the release of their upcoming fourth album Living Mirage next month. Visit TheSecretLifeofMyPet.com and share the secret life of your pet, and don’t forget to try out the cat and dog Snapchat lenses. Plus download new photos. Illumination’s tenth feature, “The Secret Life of Pets 2,” is the highly anticipated sequel to the 2016 comedic blockbuster that had the biggest opening weekend ever for an original film, animated or otherwise. Terrier Max (Patton Oswalt) is coping with some major life changes. His owner (Ellie Kemper) is now married and has a toddler, Liam. Max is so worried about protecting the boy that he develops a nervous tic. 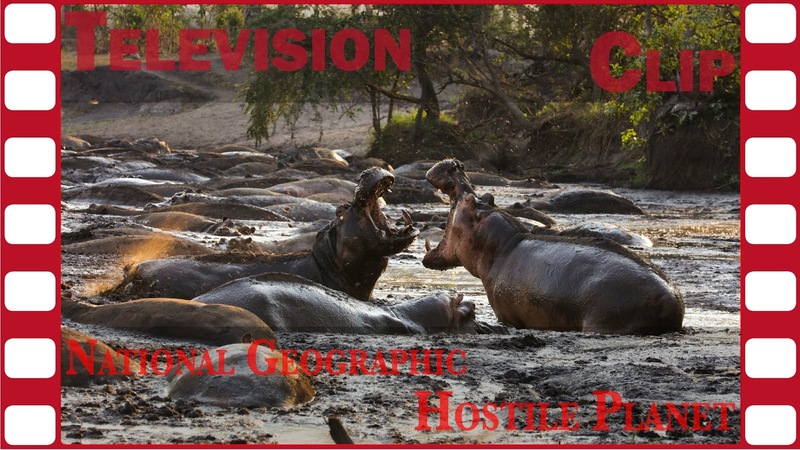 On a family trip to a farm, Max and mutt Duke (Eric Stonestreet) encounter canine-intolerant cows, hostile foxes and a terrifying turkey, all of which only elevates Max’s anxiety. Luckily, Max gets some guidance from veteran farm dog Rooster (Harrison Ford, making his animated-film debut), who pushes Max to ditch his neuroses, find his inner alpha, and give Liam a little more freedom. And crazy-but-cute bunny Snowball (Kevin Hart) gets delusions of grandeur that he’s an actual superhero after his owner Molly starts dressing him in superhero pajamas. But when Daisy (Tiffany Haddish), a fearless Shih Tzu, shows up to ask for Snowball’s help on a dangerous mission, he’ll have to summon the courage to become the hero he’s only been pretending to be.